Do you regularly have trouble finding things when you need them, or are reluctant to throw things out, even when they’re broken? if your home feels a little chaotic , its time to get organised and regain a sense of control before an upcoming relocation or Home Move. 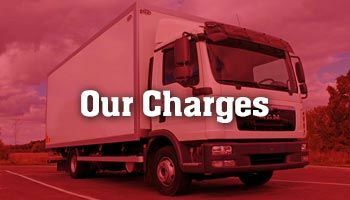 If you want avoid a chaos and headache after you have moved all your stuff, and want to save on some money charged by Removalists, you must follow the below advise. Start going through the house in a systematic way, room to room, or if that seems like an insurmountable task, just clean out one drawer or shelf per session. Dump every-thing on the floor, then apply the clutter test to each item, sorting into six boxes as you go. Finish one room and then move on to the next. Put away the things you want to keep. Throw away anything that is broken or cannot be fixed, reused, recycled or given away. Get rid of clothes that do not fit, gifts you do not like and will never use, books you do not value and appliances you never use. Donate to charity, give them away to friends, or sell them at a garage sale on on eBay. Always remember the more stuff you have the higher costs to move. Removalists charge by the hour and dollars can rise through the roof in no time. Set aside items that need repair, but be realistic – will you actually fix it. Otherwise put it in box 2. This is the “not sure” box, where you store anything you’re not sure about. Before deciding ask yourself, Is it in good shape?, Do i really need it?, Has anyone used it in the past year, would it be hard to replace it?, Is it sentimental value to anyone ?. Clearly mark all the boxes with a marker, or use color coding. Mark box with fragile and breakable things very clearly, so you know when to be extra careful. Some things are required as soon as you reached your new destination, try to pack them in a separate box and clearly label it, and load it at the end, so you have access to it immediately. To protect precious pieces against scratches and tangles, keep them seperate from each other. Do not wrap pearls in cotton of wool, as the extra heat this generates can dry them out and cause cracking. Use original boxes and original foam if possible, as the original packing is designed to protect the equipment against shock and transit turbulence, especially for TV & Computer equipment. Never leave electronic items loose in cabinets. If no-original packing available, use enough cushion material to prevent shock damage & Scratch damage to expensive items. Dispose of these dangerous items, as they are not suitable to be in transit with other items. Read disposal instructions carefully on the containers, or contact local council for disposal ways. 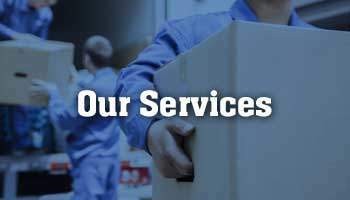 Removalists have blankets and protective materials for big and heavy furniture, so you can leave this to the removals experts.